Butter and Buntings: Blog hops and getting nominated! So Im having this battle in my head, that right now, as Percy is napping, I really should be cleaning the house, but I feel like catching up with blog stuff, and as you can see this is winning! I really enjoy having this blog, and I love reading other people's blogs. Every now and then I think that my blog is not really important anymore, and that people have their interests elsewhere. So when you get two lovely bloggers telling you they would like you to take part in a blog share thing, it feels quite nice to know that this little buttery and bunting filled space is being appreciated! So, I firstly heard from my sis in law Ash who writes The Squee, and she was taking part in a blog hop, and asked me to join. So here it goes.. I have just finished making a whole heap of handmade bits and pieces for a market I did yesterday, so nothing at the moment in the sewing/making department. I think I will work on getting what didnt sell, sold online and of course, Im always working on my magazine Hundreds and Thousands with Mezz, whether its brainstorming ideas or sending orders! Oh, this is sounding very professional, soz! I do what I do because why not! I really hope this does not come out sounding up myself or poor me, but I think I am good at what I do! I have finally found something that is mine. I married into a very talented, creative family where I didnt really have anything to share. They were all musical, and I cant really clap in time, so as much as it was wonderful to be around, I felt like a tag along. Now, im doing my own thing. Im out gigging(markets, blogger catchups, tea and cake dates) and I can do something that I can feel proud of and feel ok to show off in a non showing off way! So to answer that again, I do it because I can, because It keeps me busy physically and mentally and because its fun and makes me feel like i am contributing somehow! Obviously I am not a writer, that was the question for Ash. I will change it to my creating process. 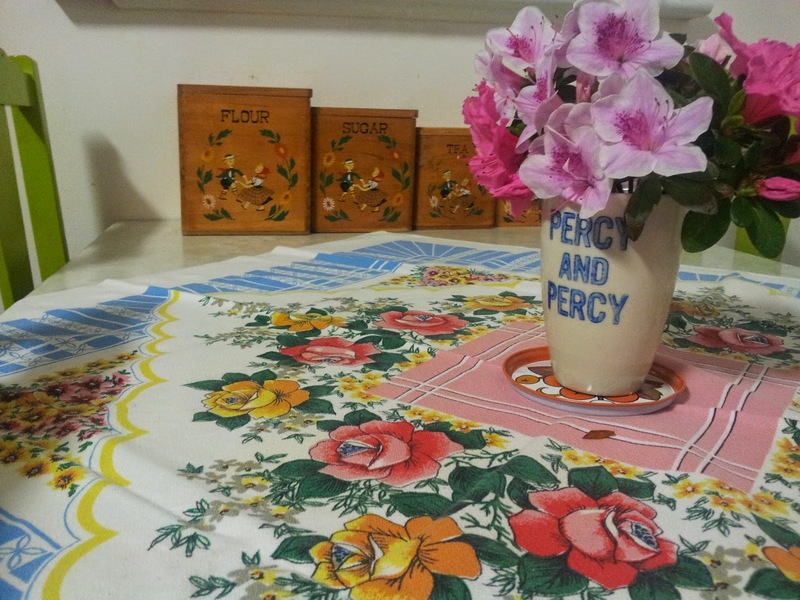 I dont know...when it comes to my handmade Butter and Buntings stuff, I dont have a process. Ideas will pop into my head and I will try them. I will make something for me, love it, and want to share it in my shop. I love trying to reuse materials and stuff that will otherwise get thrown out, so I make games in my head where I try think of what this thing could be turned into. With magazine stuff, thats just a place where all my favourite things go! Its not hard actually. Its like a diary. Its a collection of my favourite images, people, places, things, colours, patterns all in a magazine. Mezz and I so far havnt clashed over our likes and dislikes, so its been easy and I think it will be, because there are alot of things that make me happy and thats where I put them on paper and print them out! How does it differ from others in my genre? I wont lie, I dont even know how to pronounce the word genre. The next little nomination thing, kinda ties in with this bit. Tagging some bloggers who you love! So I will do a couple here and a couple down below. You can choose which thing to be part of and thats only if you want to..otherwise just see your names here as a sign that I love your blog! 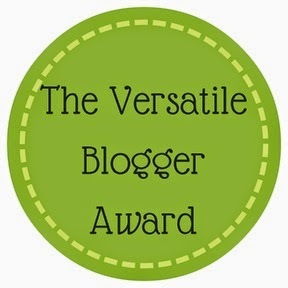 Lovely Simone from With Vintage and Me told me she has nominated me for the Versatile Blogger Award. I didnt know what this was, but the fact I'd been nominated was soo nice! The idea behind this is is that you nominate bloggers who's blog you just love reading. You also share 7 things about yourself that no one knows....I talk alot, so there's a chance people do know these things, but I will try..
2. Snakes..seeing a picture or worse, the real thing will always make me feel ill! 4. In winter I wear a nightie tucked into my pj pants which are tucked into thick socks, then a jumper over the top. As well as all this, I usually have a hot water bottle in there somewhere! 5. When I get hungry, I can be quite mean. 6. I used to VOLUNTEER to cut and file my grandmas toe nails when I was little!!!!!???? 7. We are currently browsing real estate websites looking to move. I will be back soon with snaps from my most recent market and pics of recent makes! I love your blog and you are very talented with all you make and your wonderful magazine. Thanks for sharing a little about your self. I can't believe someone as sweet as you gets hangry?! I LOVE cheese too! It is one of my favourite things to nibble on in the whole-wide-world!